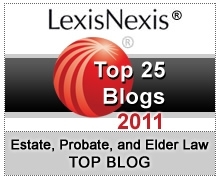 A Durable Power of Attorney (DPOA) is a part of virtually every estate plan. The DPOA allows the person who signed the document, the principal, to designate an agent, or attorney-in-fact, who will act in his or her stead. The idea is to try to avoid the time, trouble and expense involved in an incompetency and guardianship proceeding. Some estate plans also include living trusts for probate avoidance, which also can be helpful in avoiding the need for guardianship, since the successor trustee can manage the assets in the trust in the event of the incapacity of the trust grantor. However, what many people don’t realize is that the agent under a power of attorney does not have power to control assets in a trust. It’s the trustee that exercises that power. Thus, if mom’s checking account is in the name of her trust, and she develops dementia, the DPOA will not be effective to allow the agent to sign checks on the account. That authority belongs to the successor trustee, a separate legal role. For the successor trustee to gain authority, the original trustee (normally the grantor) must resign, or if that is not possible, the provisions in the trust for trustee succession must be followed. Commonly, the signed statements of two physicians attesting to the incapacity of the grantor are required. These statements, along with a copy of the trust, then become the written authority for the successor trustee to exercise authority regarding the trust. North Carolina law requires that a DPOA be registered/recorded in the Register of Deeds office in the county in which the principal resides if it is used after the principal has become incapacitated. However, most financial institutions require registration even if the principal has full capacity. Only an original document can be registered. Once registration is completed, certified copies may be obtained from the Register of Deeds.